As high-school graduating classes continue to get smaller and the competition for those intensifies, many smaller independent colleges are finding themselves fighting for their very survival. One of them is Hampshire College in Amherst, which, because of its unique mission, alternative style, and famous alums (including Ken Burns), has in many ways become the face of a growing crisis. 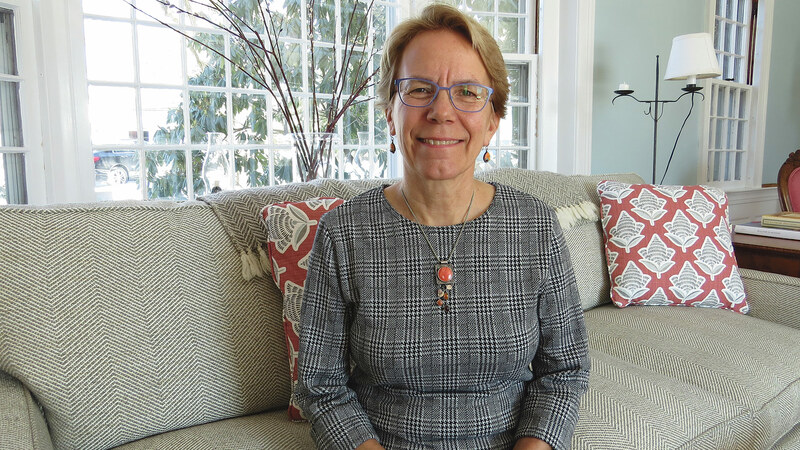 Miriam Nelson says she became a candidate to become the seventh president of Hampshire College — and accepted the job when it was offered to her last April — with her eyes wide open, fully aware of the challenges facing that Amherst-based institution and others like it — not that there are many quite like Hampshire. Then she clarified those comments a little. She said she knew the school was struggling with enrollment and therefore facing financial challenges — again, as many smaller independent schools were and still are. But she didn’t know just how bad things were going to get — and how soon. She became aware through a phone call on May 2 from the man she would succeed as president of the school, Jonathan Lash. “He let me know that our target number for enrollment this year was significantly lower than what was expected; I think he knew, and I knew, at that time that my job this year was going to be different than what I’d planned,” she recalled, with a discernable amount of understatement in her voice. Indeed, with that phone call — and the ensuing fight for its very survival — Hampshire became, in many ways, the face of a changing landscape in higher education, at least in the Northeast. That’s partly because of the school’s unique mission, alternative style, and notable alums such as documentary filmmaker Ken Burns. But also because of heavy media coverage — the New York Times visited the campus earlier this month, one of many outlets to make the trip to South Amherst — and the fact that the school is really the first to carry on such a fight in an open, transparent way. In some ways, Hampshire is unique; again, it has a high profile, and it has had some national and even international news-making controversies in recent years, including a decision by school leaders to take down the American flag on campus shortly after the 2016 election, while students and faculty members at the college discussed and confronted “deeply held beliefs about what the flag represents to the members of our campus community,” a move that led veterans’ groups to protest, some Hampshire students to transfer out, and prospective students to look elsewhere. But in most respects, Hampshire is typical of the schools now facing an uncertain future, said Barbara Brittingham, president of the New England Commission of Higher Education (NECHE), adding that those fitting the profile are smaller independent schools with high price tags (tuition, room, and board at Hampshire is $65,000), comparatively small endowments, and student bodies made up largely, if not exclusively, of recent high-school graduates. That’s because high-school graduating classes have been getting smaller over the past several years, and the trend will only continue and even worsen, said Brittingham, citing a number of recent demographic reports. Meanwhile, all schools are confronting an environment where there is rising concern about student debt and an increased focus on career-oriented degrees, another extreme challenge at Hampshire, where traditional majors do not exist. None of these changes to the landscape came about suddenly or without warning, said Brittingham, noting that the storm clouds could be seen on the horizon years ago. Proactive schools have taken a variety of steps, from a greater emphasis on student success to hiring consultants to help with recruiting and enrollment management. But for some, including several schools in New England, continued independence and survival in their original state was simply not possible. Some have closed — perhaps the most notable being Mount Ida College in Newton, which shut down abruptly two months before commencement last spring — while others have entered into partnerships, a loose term that can have a number of meanings. In some cases, it has meant an effective merger, as has been the case with Wheelock College and Boston University and also the Boston Conservatory and the Berklee College of Music, but in others, it was much more of a real-estate acquisition, as it was with Mount Ida, bought by UMass Amherst. What lies ahead for Hampshire College is not known, and skepticism abounds, especially after the school made the hard decision not to admit a full class for the fall of 2019. But Nelson remains optimistic. 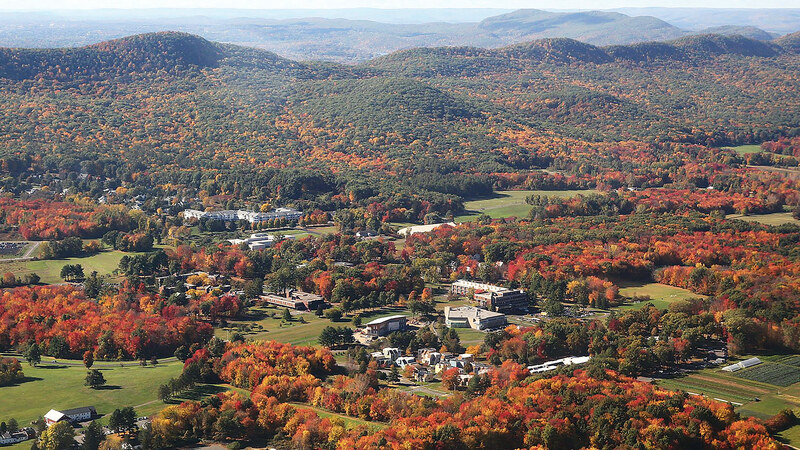 An aerial photo of the Hampshire College campus, which has been in the national media spotlight since it was announced that the school was looking to forge a partnership with another school in order to continue operations. For this issue and its focus on education, BusinessWest talked with Nelson and Brittingham about the situation at Hampshire and the changing environment in higher education, and how the school in South Amherst has become the face of an ongoing problem. Those looking for signs indicating just how serious the situation is getting within the higher-education universe saw another one earlier this month when Massachusetts Gov. Charlie Baker filed legislation to strengthen the state’s ability to monitor the financial health of private colleges. “Our legislation will strengthen this crucial component of our economy, but most importantly, it will help protect students and their families from an abrupt closure that could significantly impact their lives,” Baker said in a statement that was a clear reference to the Mount Ida fiasco. And that’s a constituency that could get larger in the years and decades to come, said Brittingham, adding that demographic trends, as she noted, certainly do not bode well for small, independent schools populated by recent high-school graduates. She cited research conducted by Nathan Grawe, author of Demographics and the Demand for Higher Education, which shows that, in the wake of the Great Recession that started roughly 11 years ago, many families made a conscious decision to have fewer children, which means the high-school graduating classes in the middle and end of the next decade will be smaller. 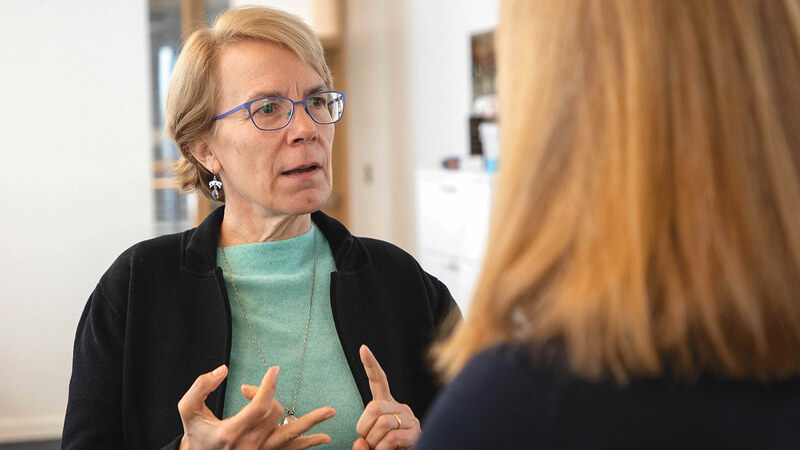 As noted earlier, Nelson understood the landscape in higher education was changing when she decided to pursue a college presidency, and eventually the one at Hampshire, after a lengthy stint at Tufts and then at the University of New Hampshire as director of its Sustainability Institute. 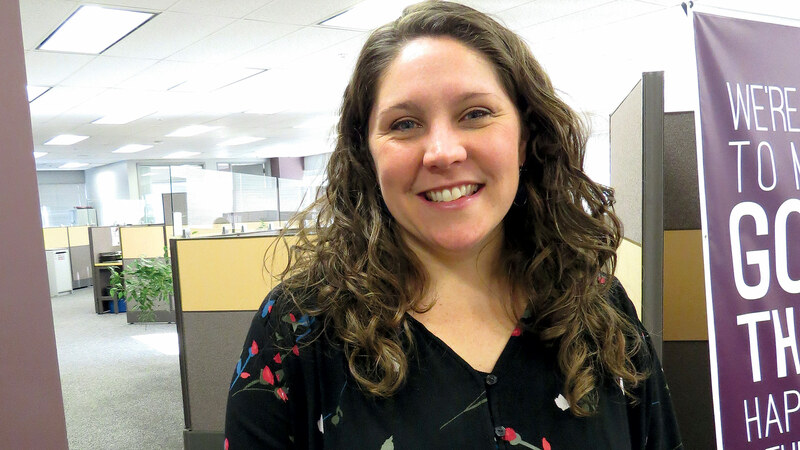 She told BusinessWest that Hampshire offered the setting — and the challenge — she was looking for. Imagination is just one of the qualities that will be needed to help secure a solid future for the school, she acknowledged, adding that, while the current situation would be considered an extreme, the college has been operating in challenging fiscal conditions almost from the day it opened in 1970 — and even before that. However, this relatively thin ice that the college has operated on became even thinner with the changing environment over the past several years, a climate Nelson put in its proper perspective. A crisis that has forced the college to reach several difficult decisions, ranging from layoffs — several, effective April 19, were announced last month involving employees in the Admissions and Advancement offices — to the size and nature of the incoming class. Indeed, due to the school’s precarious financial situation — and perhaps in anticipation of the governor’s press for greater safeguards against another Mount Ida-like closing, Hampshire has decided to admit only those students who accepted the school’s offer to enroll via early admission and those who accepted Hampshire’s offer to enroll last year but chose to take a gap year and matriculate in the fall of 2019. 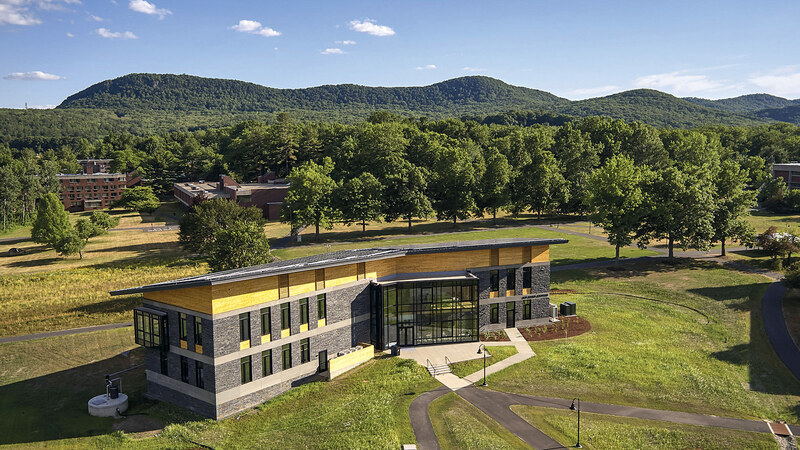 Hampshire College is just one of many smaller independent schools challenged by shrinking high-school graduating classes and escalating competition for those students. 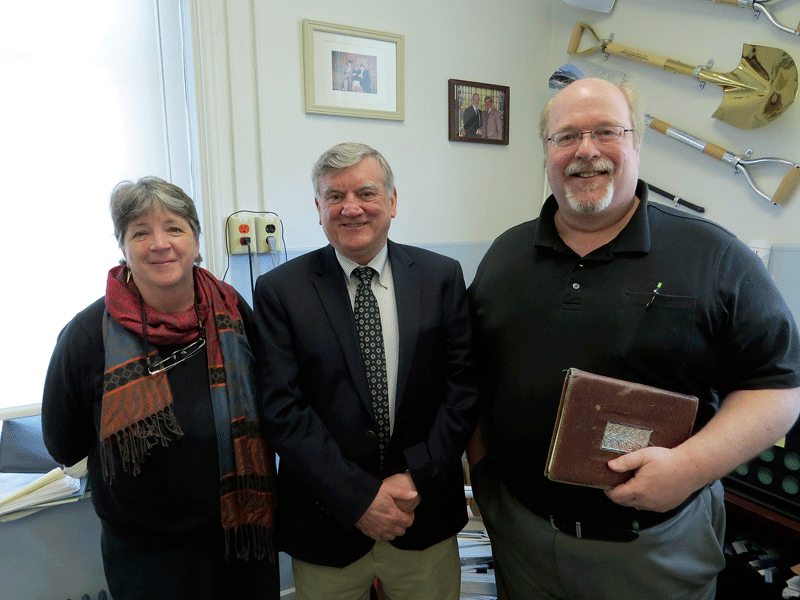 While reaching those decisions, leaders at the college have also been working toward a workable solution, a partnership of some kind that will enable the school to maintain its mission and character. Ongoing work to reach that goal has been rewarding on some levels, but quite difficult on all others because of the very public nature of this exercise, said Nelson, adding that her first eight months on the job have obviously been challenging personally. She said the campus community never really got to know her before she was essentially forced into crisis management. And now, the already-tenuous situation has been compounded by negativism, criticism (Nelson has reportedly been threatened with a vote of no confidence from the faculty), and rumors. 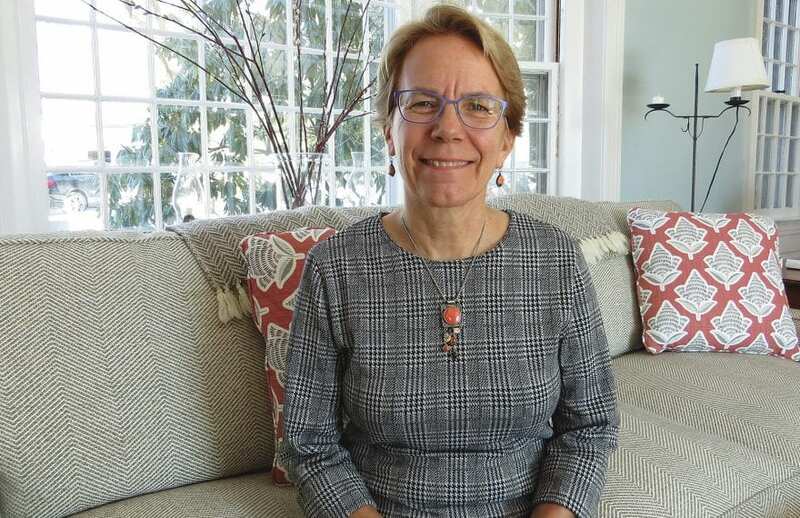 As she talked about the ongoing process of finding a partnership and some kind of future for Hampshire College, Nelson said she’s received a number of phone calls offering suggestions, support, and forms of encouragement as she goes about her work in a very public way. One such call was from a representative of the Mellon Foundation. “He said he’s never seen a college do this in a transparent way like we are,” she said. “He’s right, and when you’re doing it in real time, and transparently, it’s going to be clunky; it’s not like you’ve got every detail worked out and figured out right at the very beginning. We’re doing the figuring out in a public way and engaging with the community and our alums and the broader community and the higher-ed community as we do this. Elaborating, she said there are no textbooks that show schools and their leaders how to navigate a situation like this, and thus she’s relying heavily on her board (in the past, it met every quarter; now it meets every week), the faculty, students, and other college presidents as she goes about trying to find a workable solution. And there are some to be found, said Brittingham, adding that several effective partnerships have been forged in recent years that have enabled both private and public schools to remain open. Perhaps the most noted recent example is Wheelock and Boston University, although it came about before matters reached a crisis level. “Wheelock looked ahead and felt that, while they were OK at that moment, given the trends, given their resources, and given their mission, over time, they were going to be increasingly challenged,” she explained. “So they decided that sooner, rather than later, they should look for a partner, which turned out to be Boston University, which Wheelock essentially merged into. 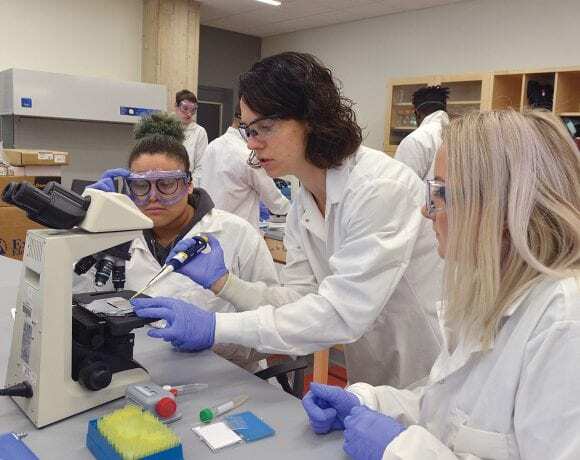 Another partnership that fits that description is the one between two small public colleges in Vermont — Johnson State College and Lyndon State College. “They had compatible missions — one of them was more liberal-arts-oriented, and the other was more focused on career programs — so they merged and became Northern Vermont University,” she said, adding that the merger allows them to share central services and thus gain efficiencies in overall administration. Whether Hampshire can find such an effective working arrangement remains to be seen, but Nelson takes a positive, yet realistic outlook. Time will tell whether this projection comes to pass. The decision not to admit a full class for the fall of 2019 is seen by some as a perhaps fateful step, one that will make it that much harder to put the college on firmer financial ground moving forward. But Nelson, as noted, is optimistic that the ‘Hampshire way’ will yield what could become a model for other schools to follow in the years and decades to come, as the higher-education landscape continues to evolve. Amanda Gould says the grant awarded to Bay Path University will fund a collaborative effort to help improve the digital fluency of the workforce. Indeed, there’s the gap that seems to getting most of the attention these days, the one that involves the huge gender disparity in the IT workforce, with the vast majority of those well-paying jobs going to men, said Gould, chief administrative officer for the American Women’s College at Bay Path University, one of the institutions working to do something about this through its expanding Cybersecurity and IT degree programs. But there’s another gap, she said, and this one involves the workforce and its digital fluency — or lack thereof. In short, too many people lack the necessary skills to thrive in the modern workplace, especially in IT-related roles, and the need to devise solutions for changing this equation is becoming critical. For this reason, the nonprofit Strada Education Network committed $8 million to what it calls the ‘innovative solutions in education-to-employment’ competition, a name that speaks volumes about its mission. 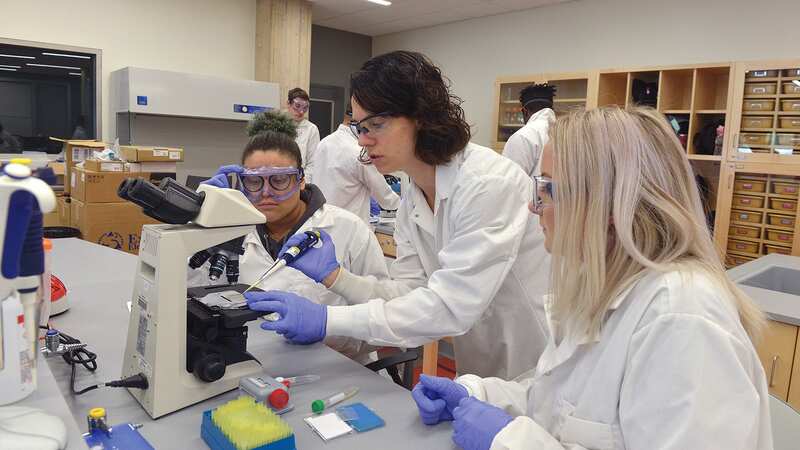 And Bay Path emerged as one of the winners in this competition, garnering $1.58 million for a three-year project appropriately called “Closing the Gaps: Building Pathways for Women in a Technology-driven Workforce” (note ‘gaps’ in the plural). This will be a collaborative effort, said Gould, adding that work is already underway with a number of partners, including the Economic Development Council of Western Mass., the MassHire Hampden County Workforce Board, the Massachusetts Technology Leadership Council, Pas the Torch for Women, Springfield Technical Community College, the UMass Donohue Institute, and others. The key word in that sentence is ‘core,’ she said, because such competencies are now needed to succeed in jobs across virtually all sectors, not just IT and cybersecurity, and, as noted, many individuals simply don’t have them, and thus doors to some opportunities remain closed. 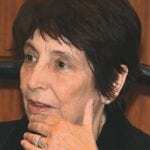 Opening them is the purpose of the of the Strada Education Network program, said Gould, adding that it will address a large problem that is obvious, yet often overlooked. 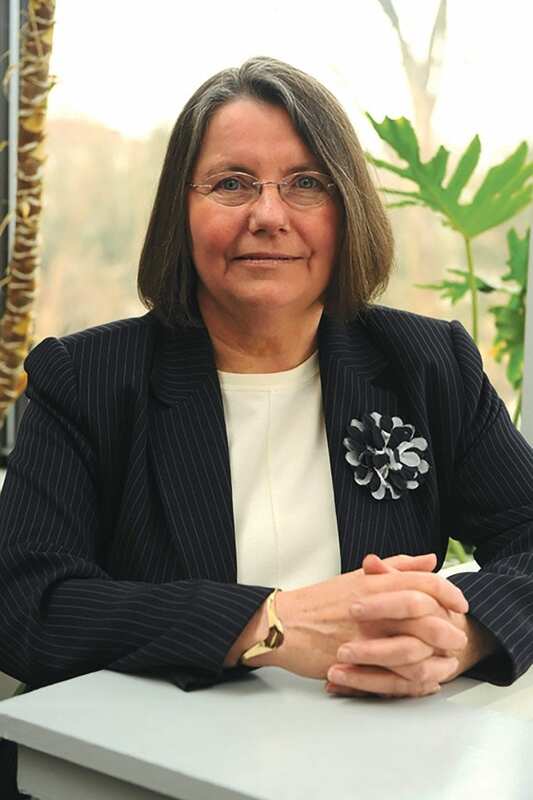 Patricia Crosby, executive director of the MassHire Franklin Hampshire Workforce Board, agreed. She said her agency and other workforce-related partners will play a key role in this initiative — specifically bringing business leaders and those in the education sector together in the same room to discuss how curriculum can and should be structured to vastly improve the odds of student success and make what has been a fairly closed field much more open. Overall, the nearly $1.6 million grant will be put toward a variety of uses, said Gould, who listed everything from career coaching to scholarships; from curriculum development to putting students in situations where they’re getting hands-on training in their chosen field. And all of them are pieces to the puzzle when comes to not only entering the workforce, but succeeding in a career. For this issue and its focus on education, BusinessWest takes an in-depth look at the ‘closing the gaps’ initiative and why it is so critical when it comes to today’s workforce. Smashing Bay Path’s program down to a few key swing thoughts, Gould said it basically involves determining which IT skills are most needed in the workplace, which ones are missing in a large number of applicants and employees, and how to effectively provide those skills. And while it’s easy to state the problem and this three-year project’s goals, devising solutions won’t be quite so easy because the problems are systemic and fairly deep-rooted. 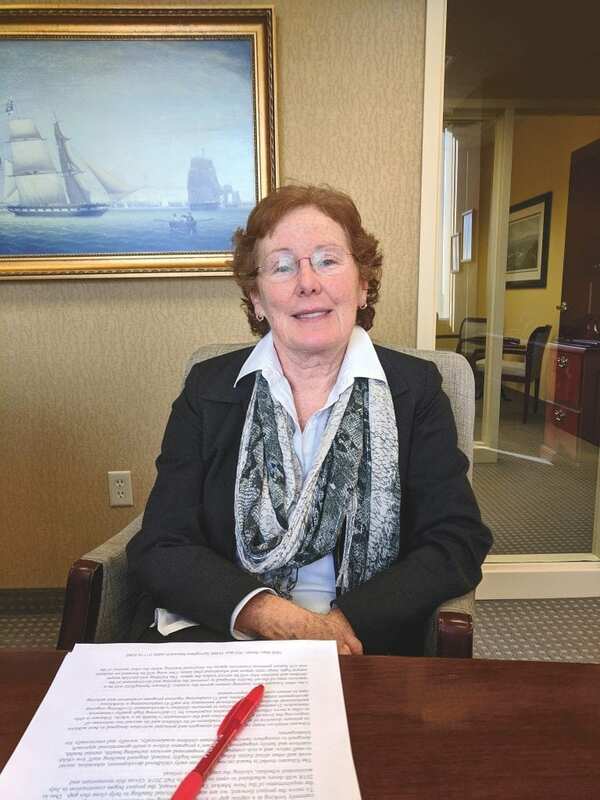 Patricia Crosby says the grant awarded to Bay Path University will help create clearer, better pathways into an IT field that historically has not been open to women, newcomers, and diverse workers. “As higher-education institutions,” Gould explained, “we haven’t kept up with our education and our curriculum to make sure that, as students are leaving with a psychology degree or a communications degree or nursing degree, we are building in exposure to these tool sets and these skills. By being more theoretical in our education, we’ve almost created the gaps. “I really think we’re at a moment in time when we need to be more thoughtful about integrating technology for all students,” she went on, adding that, if those in higher ed created the gaps, it’s now incumbent upon them to close them. Elaborating, she noted that cybersecurity, while still a specific discipline and course of study, is also part of myriad job descriptions today — for those helping with social-media campaigns to those handling customer records — and thus cyber should be part of occupational training. This is a relatively new mindset, she acknowledged, one that involves a close partnership between the business community and those in higher education. To put it in perspective, she cited some research conducted by Strada and Gallup regarding the relevancy of educational programs. A commitment to closing it explains why the Strada network is giving $8 million to seven winners of its competition, and also explains why partners like the EDC and the MassHire facilities will play such a critical role in this endeavor. They will help connect those with the project to industry groups and specific companies with the goal of not only determining the skill sets they need in their employees, but placing students in situations where they gain valuable hands-on experience. These experiences can include job shadowing, interviewing someone in a particular role, project-based coursework, or actual internships, said Gould. 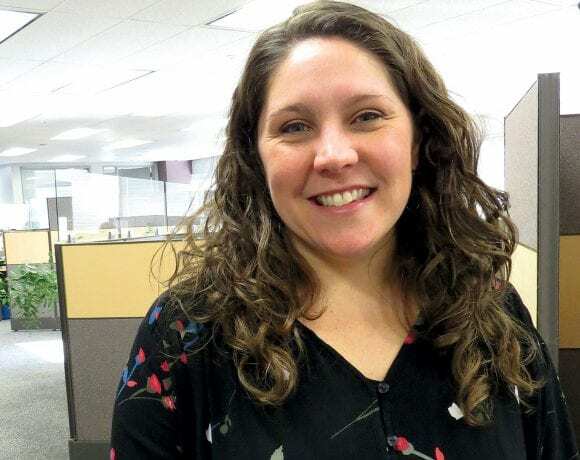 “There are a variety of ways we can get our students connected with employers,” she said, adding that such connections are vital to understanding the field, comprehending the role IT plays in it, and, ultimately, gaining employment within that sector. “In this field [IT], more than any other, as much as any credentials or degrees, employers are looking for experience,” she said. “There’s a gap between the people who are learning it and the people who are getting the jobs because the people who get the jobs already have experience. There’s a bridge that has to be crossed between any education and training program and the workplace. As she talked about the Bay Path program and how to measure its success, Gould said there will be a number of ways to do that. These include everything from the level of dialogue between the business community and those in education — something that needs to be improved — to the actual placement rates of graduates in not only the IT and cyber fields, but others as well. In short, the mission is to close the gaps, as in the plural. There are several of them, and they are large, but through a broad collaborative effort, those involved in this initiative believe they can begin to close those gaps and connect individuals to not only jobs but careers. Ware High School graduates, from left, Felicity Dineen, Jordan Trzpit, Valentina Towne, Joe Gagnon, Morgan Orszulak, and Seth Bourdeau with Michael Moran (right), president of Baystate Health’s Eastern Region, which helped fund tuition and textbooks for the students’ EMT training at Holyoke Community College’s satellite in Ware. Seth Bordeau had no plans to become a paramedic, but a chance elective at Ware High School last year — “Introduction to Fire Science,” taught by Ware Fire Department Deputy Chief Edward Wloch — led him down an unexpected path. 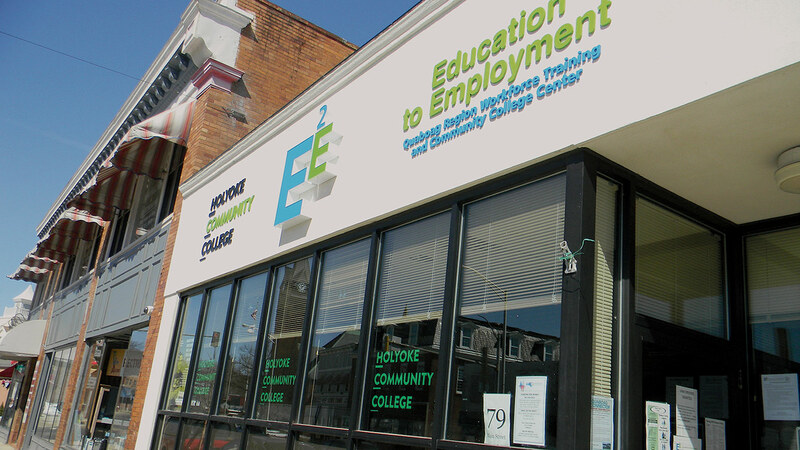 Fortunately, the elective led to an opportunity to take an EMT class at the Holyoke Community College satellite located at the Education to Employment (E2E) site on Main Street in Ware. He and fellow Ware High students who finished the high-school elective are now contemplating a career in fire science and emergency medicine. 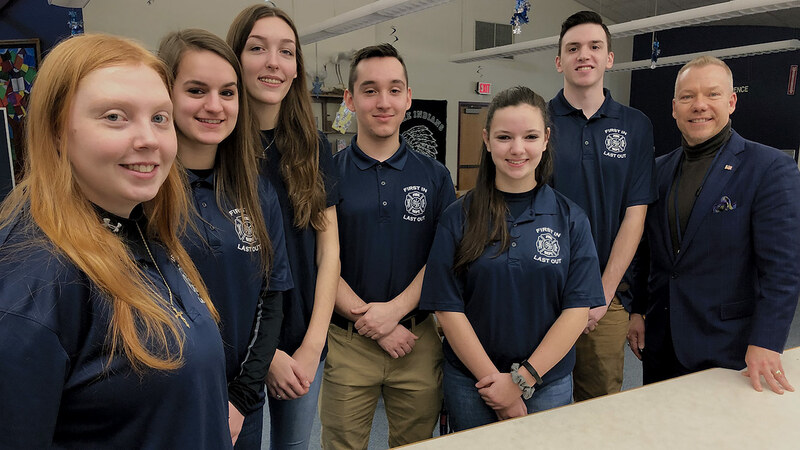 Baystate Wing Hospital Corp., one of the E2E’s local business partners, provided a matching grant that covered half the tuition and textbooks for the EMT course for each of the students. This career pipeline between Ware High School and HCC’s satellite in Ware is just one example of how E2E — initially forged as a partnership between the Quaboag Valley Community Development Corp. (QVCDC) and HCC — is building connections between higher education, local businesses, economic-development leaders, and the community to meet workforce needs, said Jeff Hayden, vice president of Business and Community Services at HCC. “From an academic point of view, they’re really looking to provide hands-on training activities for students who maybe aren’t sure what they want to do, or aren’t as book-motivated as some students might be. The hands-on training is giving them experience in an actual occupation,” said Hayden, noting that Ware High School added a criminal-justice elective to its roster of project-based, career-focused learning in 2018, and will introduce a certified nursing assistant (CNA) course in the fall of 2019. Those efforts are just the tip of the iceberg when it comes to E2E programming, which features a range of resources for employers looking for talent and individuals seeking jobs (and the skills needed to procure them), and even a transportation service, the Quaboag Connector, that helps people access these services across these lightly populated towns in West-Central Mass. “E2E is really a unique and innovative facility to help meet the needs of folks in our rural, former mill-town communities,” said Sheila Cuddy, executive director of the QVCDC. Several years ago, she explained, her organization was looking at strategic planning in the 15 communities it serves. 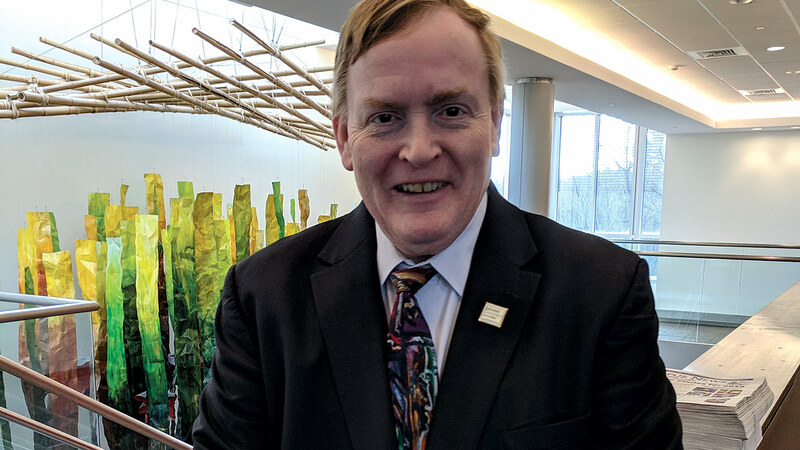 Jeff Hayden said HCC meets a need in Ware and surrounding towns for students who might be burdened by a long commute to the nearest college campus. 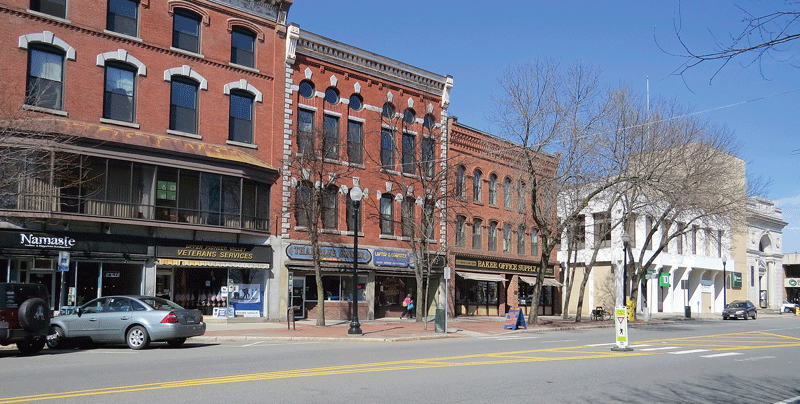 After HCC came on board as the QVCDC’s higher-ed partner in E2E, Country Bank stepped up with class-A office space in downtown Ware it no longer needed, and a mix of business funders (including Monson Savings Bank), grants, and tax credits began to take shape. “Since then, it has mushroomed,” Cuddy said. For this issue’s focus on education, BusinessWest takes a look at how Education to Employment has brought new levels of collaboration and creativity to bear on the persistent problem of matching job seekers with jobs — often jobs, as in Bordeau’s case, they had no idea they’d want. 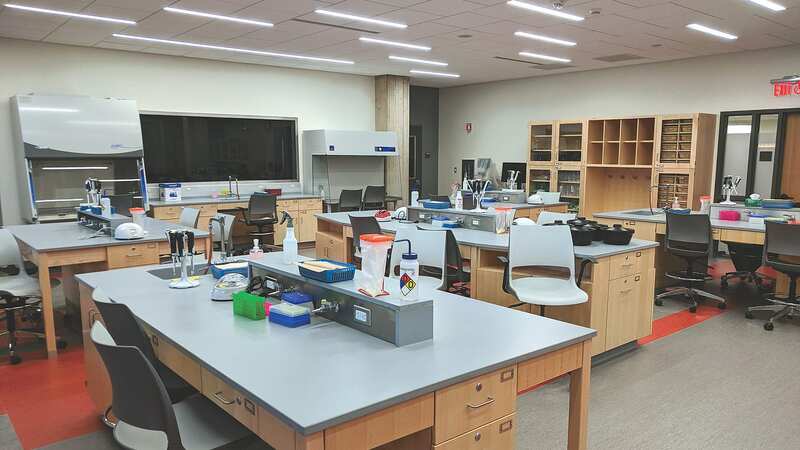 Indeed, the roughly 3,000-square-foot center located at 79 Main St. in Ware includes two classrooms, as well as private study areas and office space. Computer workstations are available for community members interested in enrolling in credit classes at HCC as online students. Meanwhile, the center has offered non-credit classes in hospitality and culinary arts, manufacturing, and health careers. Staffers are also on hand to help people with résumé writing, job-interview and application advice, and soft skills that all employers seek. “They might need help with a résumé, or they might need additional classes, either for college credit or workforce-training classes to get certification for a new job. Or there might be questions about how to apply for financial aid,” Cuddy said. Baystate Health’s Eastern Region, which includes Baystate Wing Hospital and Baystate Mary Lane, is one of the Quaboag Connector’s partners, providing $90,000 in funding to the transportation initiative. Surveying the growing roster of programs run through E2E, Hayden said the partnerships forged among higher education, the business community, and other groups, all of whom are seeking similar outcomes when it comes to building a vibrant workforce, have come together naturally and organically. Country Bank donated space on Main Street in Ware to the QVCDC for the E2E offices. The needs remain significant, Cuddy added. That’s why Education to Employment makes sense, and is needed, she went on. Dealing with conflicts between employees? Ineffective supervisory relationships? Teams not working well together? Workplace conflict can harm relationships, reduce productivity, increase costs and decrease a team’s effectiveness. One study found that an average workplace conflict eats up to three hours a week! In this workshop we’ll explore the range of conflict resolution tools available, including one-on-one communication strategies, conflict coaching, mediation, and larger group processes. Together we’ll identify circumstances which may make one approach work better than others, steps we can take to ensure better success with the techniques we choose, and ways to combine various strategies to deal with challenging workplace dynamics. Architects rendering of the $14 million Educare Center now under construction in Springfield. The new $14 million Educare Center now under construction in Springfield is focused on education, obviously, but parental involvement and workforce development are key focal points within its broad mission. It’s a term she has called upon often, actually, when speaking to individuals and groups about Educare, an innovative model for high-quality early education that’s coming to Springfield next year — only the 24th such center in the country, in fact. Then there are the elements that Educare centers have really honed in on nationwide: Parental involvement and workforce development — and the many ways those two concepts work together. The takeaway? Early-education programs must engage parents in their children’s learning, which is a central tenet to Educare. But the second reality is that families often need assistance in other ways — particularly Head Start-eligible families, who tend to be in the lower economic tier. “We must assist them to begin the trajectory toward financial security,” Walachy said, and Holyoke Chicopee Springfield (HCS) Head Start has long done this by recruiting and training parents, in a collaborative effort with Holyoke Community College, to become classroom assistants, who often move up to become teachers. In fact, some 40% to 50% of teachers in HCS Head Start are former Head Start mothers. 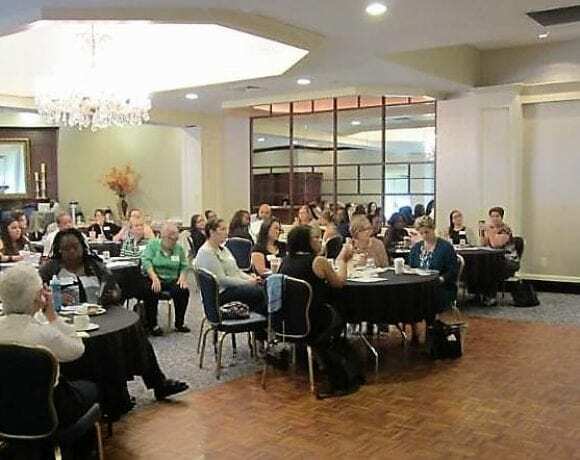 By making that dual commitment to parent engagement and workforce training, she noted, the organizations supporting the Educare project in Springfield are making a commitment to economic development that lifts families — and, by extension, communities. And that makes this much more than a school. 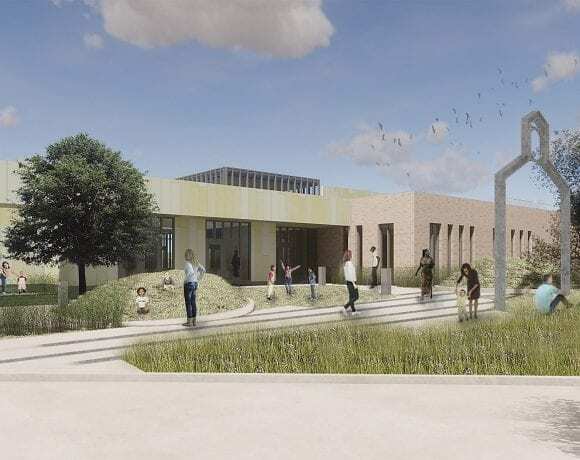 The 24th Educare school in the U.S. will be the only one in Massachusetts, and only the second in New England, when it opens next fall at 100 Hickory St., adjacent to Brookings School, on land provided by Springfield College. The $14 million project was designed by RDg Planning & Design and is being built by Western Builders, with project management by O’Connell Development Group. Mary Walachy says that while it’s important to educate young children, it’s equally important that they go home to strong families. Educare started with one school in Chicago and has evolved into a national learning network of schools serving thousands of children across the country. An early-education model designed to help narrow the achievement gap for children living in poverty, Educare Springfield is being funded locally by a variety of local, state, and national sources including the Davis Foundation, the Gage Olmstead Fund and Albert Steiger Memorial Fund at the Community Foundation of Western Massachusetts, the MassMutual Foundation, Berkshire Bank, MassDevelopment, the MassWorks Infrastructure Program at the Massachusetts Executive Office of Housing and Economic Development, the George Kaiser Family Foundation, Florence Bank, Capital One Commercial Banking, and the Early Education and Out of School Time Capital Grant Fund through the Massachusetts Department of Early Education and Care in collaboration with the Community Economic Development Assistance Corp. and its affiliate, the Children’s Investment Fund. A number of anonymous donors have also contributed significant funding. Educare Springfield will offer a full-day, full-year program for up to 141 children from birth to age 5, under licensure by the Department of Early Education and Care. The center will also serve as a resource in the early-education community for training and providing professional development for future teachers, social workers, evaluation, and research. Just from the education perspective, the local need is certainly there. Three years ago, the Springfield Public Schools Kindergarten Reading Assessment scores revealed that preschool children from the Six Corners and Old Hill neighborhoods scored the lowest among city neighborhoods for kindergarten reading readiness, at 1.1% and 3%, respectively. On a broader city scale, the fall 2017 scores showed that only 7% of all city children met all five benchmarks of kindergarten reading readiness. Research, as Walachy noted, has proven time and again that kids who aren’t kindergarten-ready are at great risk of falling further behind their peers, and these same children, if they’re not reading proficiently by the end of third grade, are significantly less likely to graduate high school, attend college, or find employment that earns them a living wage. Breaking that cycle means engaging children and their parents — and it’s an effort that could make a multi-generational impact. That potential is certainly gratifying for Walachy and the other partners. The board of Educare Springfield, which is a 501(c)(3) nonprofit, will hold Head Start accountable for executing the expanded Educare model. Educare Springfield is also tackling enhanced programs, fundraising, and policy and advocacy work associated with the model. A $7 million endowment is also being developed, to be administered by the Community Foundation of Western Massachusetts, revenue from which will support operating costs. “We did not want to develop a building that we could then not pay to operate,” Walachy noted, adding that Head Start’s federal dollars will play a significant role as well. “We want to develop a program kids in Springfield deserve. They deserve the best, and we think this is one of the best, and one this community can support. Sept. 17 was a huge day for Springfield and this region. It was, as they say, a ground-breaking moment, both literally and figuratively. As for the literal part of that equation, ground was broken for the $14 million Educare early education school to be constructed adjacent to the Brookings School, on land provided by Springfield College, and operated by Holyoke, Chicopee Springfield Head Start. This is the 24th Educare School to be built in the United States and the only one in Massachsetts. This was a typical ground-breaking ceremony with a host of local and state leaders, including Lt. Gov. Karen Polito. As for the figurative part, this development is potentially ground-breaking on a number of levels. Educare represents what is truly cutting edge when it comes to practices in early education, and Educare Springfield represents an enormous opportunity for city residents to help break the cycle of poverty that has existed for decades. Educare, which represents a national collaboration between the Buffett Early Childhood Fund, Ounce of Prevention Fund, and hundreds of other public-private partners across the country, offers an early education model designed to help narrow the achievement gap for children living in poverty. This model, which involves a full-day, full-year program for up to 141 children from birth to age five, incorporates embedded and ongoing professional development of teachers, intensive family engagement, and high-quality teaching practices, and utilizes data to advance outcomes for students in the program. In other words it focuses on all three of the critical elements involved on the early-education process: Children, their families, and their educators. And all are equally important. The students? Their participation in this program is obvious. Study after study has shown the importance of early education in setting young children on a course for life-long learning and providing them a far better chance to stay on that course. The year-long, all-day model translates into a more comprehensive — and more impactful — learning experience. As for families, they are also an integral part of the early education process. Parents must become invested in the process and in their child’s education, and the Educare model ensures that this is the case. And the educators? They are often the forgotten piece in this equation. Historically underpaid and seemingly underappreciated, early education teachers have a vital role in putting young children on a path to life-long learning. Ongoing professional development is an important component in this process. Irene E. and George A. Davis Foundation, a long-time supporter and advocates for early education, played a lead role in making the Educare center a reality. But there were many other supporters as well, including the the Gage Olmstead Fund and Albert Steiger Memorial Fund at the Community Foundation of Western Massachusetts; the MassMutual Foundation; Berkshire Bank; MassDevelopment; MassWorks Infrastructure Program at the Massachusetts Executive Office of Housing and Economic Development; the Early Education and Out of School Time Capital Grant Fund through the Massachusetts Department of Early Education and Care in collaboration with the Community Economic Development Assistance Corporation (CEDAC) and their affiliate, the Children’s Investment Fund; the George Kaiser Family Foundation; Florence Bank; Capital One Commercial Banking; and anonymous donors. All these businesses and agencies understand the importance of early education, not only to the children and to the families, but to the city of Springfield and the entire region. As we’ve said on many occasions, early education is an education issue, but it is also an economic development issue. And that’s why this is a ground-breaking development for this area, in all kinds of ways. 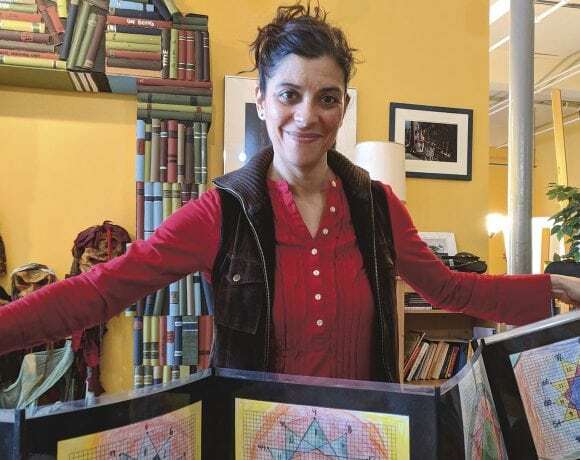 Gabriela Micchia with the multiplication charts created by Holyoke fourth-graders. Forty-two years ago, Enchanted Circle Theater was born as, true to its name, a touring theater company, but its interactions in school classrooms led to a dramatic evolution of its mission. Today, the nonprofit — which works not only in theater arts, but with a whole host of creative endeavors — partners with schools and other organizations on a concept known as arts integration, which uses creativity to make education more impactful — and more fun. As Gabriela Micchia unfolded a series of multiplication tables in the form of brightly hand-colored diagrams, she explained how they’re much more than mere teaching tools. It’s undoubtedly a more entertaining way to learn math facts than simple recitation. 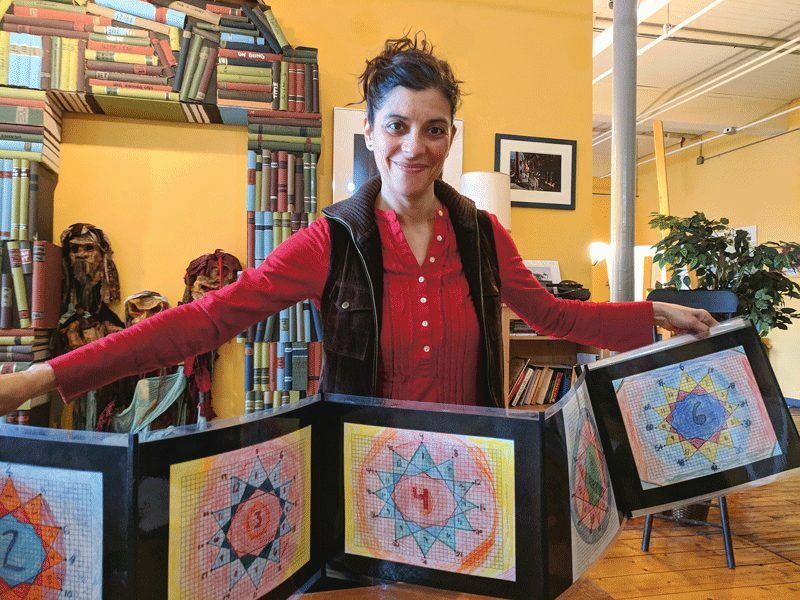 But the real magic happened later, when the students visited another fourth-grade class and excitedly explained how to create the charts and use them to play a math game, said Micchia, a teaching artist with Enchanted Circle Theater in Holyoke. In short, the kids became the teachers. 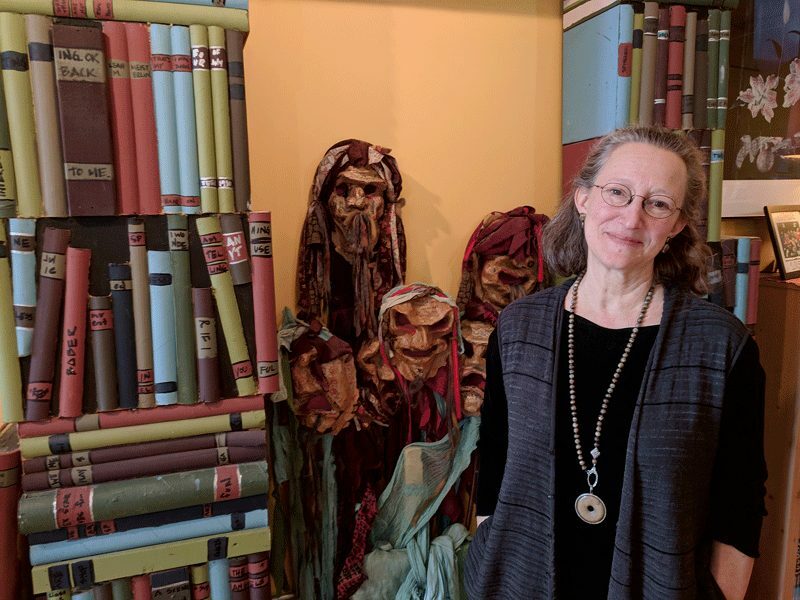 That’s a typical story for Enchanted Circle Theater, a 42-year-old, Holyoke-based nonprofit that partners with schools and other organizations to educate through the creative arts. It’s a model applicable not just to math, but to all school subjects — with a focus at all times on English-language communication skills. Enchanted Circle has, from its beginning, been a working theater, but it has long embraced artistic endeavors of every kind — dance, music, visual arts, literature, even culinary arts — as teaching tools. Enchanted Circle was launched in 1976 as a touring theater company, but one that had a foothold in education from early on. Patricia Kane Hellweg says students who learn through hands-on arts integration retain concepts more effectively because they have more ownership in the process. So the theater started developing workshops related to the performances, which evolved from one-off events to a regular partnership with schools — and an expansion of the organization’s work from drama to arts integration of all kinds. The theater has a presence in public schools throughout Holyoke, Amherst, Northampton, and parts of Springfield, but also in affordable-housing developments, preschools, universities, and other, perhaps surprising venues. “We work throughout the community — in the foster-care world, in the mental-health field, with adjudicated youth in detention, in homeless shelters, in housing developments — bringing arts-integrated learning to some of the most marginalized and vulnerable populations in the area,” Hellweg said. That applies even to young people who never considered themselves learners, she said, recalling a bittersweet conversation she had recently with a 15-year-old girl in juvenile detention. Micchia went further than that, saying Enchanted Circle cultivates an emotionally safe learning space. Students aren’t the only ones in need of that confidence, Hellweg noted. Teachers are, too — at least when it comes to the often-unfamiliar territory of arts integration in their classrooms. One innovative initiative, the Honors Arts Academy in Holyoke, is an afterschool program at Donahue School that focuses on rigorous arts training for students. 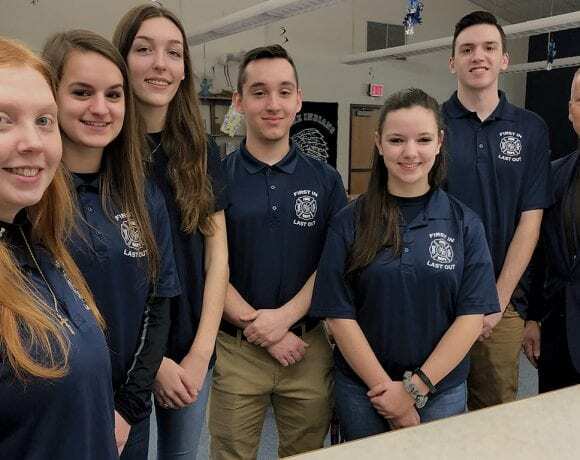 The goal is to secure the funding to place it at Holyoke High School and bring in seventh- and eighth-graders from three city middle schools to work with freshmen at the high school. In all Enchanted Circle’s programs, she added, students are moving beyond passive learning and generating their own ideas, helping to craft curriculum that means something to them. While the theater has evolved slowly over the years, Hellweg is excited about a new initiative called the Institute for Arts Integration, which will be a regional hub for training teachers, social-service case workers, administrators, and teaching artists. It’s a goal that gets her out of bed each morning, doing a job she has loved for almost four decades. Roger Crandall stops at State & Main in MassMutual’s headquarters building in Springfield. Over the course of its 167-year history, MassMutual has successfully responded to changes in society and also in how business is conducted. Today, the pace of change has accelerated greatly, but the company is answering with new strategic initiatives involving everything from the design of workspaces to how individuals apply for life insurance. MassMutual built its former headquarters building in Springfield at that very intersection, so that may have something to do with that name. But it’s more likely a reference to the fact that this is where two of the main spines of the company’s sprawling current home on State Street come together. So that’s where many of the 4,000 people working there come together as well. There’s a Starbucks there, as well as a small shop where people can get their electronic devices serviced, as well as a convenience store. Over the past 18 months or so, some small meeting places and workstations where people can plug in have been added in a nod to changes in how work is now done. There is a row of these stations along one wall, which, coincidentally, was the old end point of the building before an addition was built. 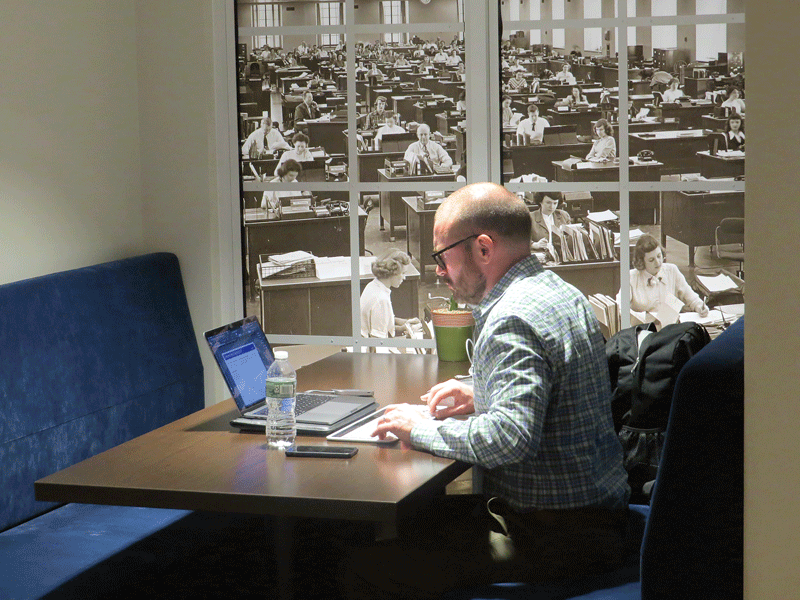 Where the windows once were, there are now photographs depicting work life at MassMutual decades ago. If you’re looking for evidence of just how much things have changed, you can juxtapose a solitary worker on a laptop in one of these workspaces in front of a huge photo depicting row upon row of desks — an iconic glimpse of the workplace maybe a century ago (see photo above). It took a long time to get from where things were in that photograph to where they are today, but the pace of change is rapidly accelerating — even when it comes to a product seemingly frozen in time, like life insurance. While the basic insurance products haven’t changed much over time, how people research them, shop for them, and ultimately buy them have, said Roger Crandall, president and CEO of the Fortune 100 company, the only one based in the 413. 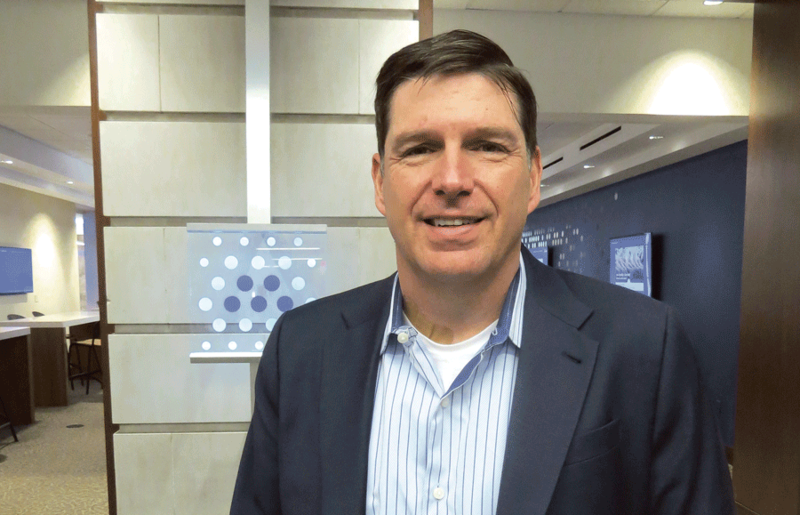 “We’re looking a lot at how to do business with people the way they want to do business,” he explained, adding that there is much that goes into this equation. “The single biggest thing that the technology revolution has done is give consumers the power to interact the way they want to interact. Responding to this new landscape is just one of the many organizational focal points for Crandall and MassMutual, with the emphasis on ‘many.’ Others include those aforementioned changes in the way people work, he told BusinessWest, adding that the company’s headquarters has seen a number of significant changes in response to trends involving more open spaces and the need to bring great minds together, not keep them apart. As a result, there are far fewer of those large, private offices that once dominated large financial-services companies and often defined how high one had risen in the ranks, and much more of those open workspaces like those along State and Main. These changes are taking place at all of MassMutual’s facilities, which leads to another of those focal points, a headline-generating consolidation and realignment of facilities that will see the company significantly increase its presence — on both ends of the Bay State. Indeed, there will be $50 million in investments to the Springfield facility, with an estimated 1,500 more employees working there, many of them commuting to that facility instead of the one in Enfield, Conn., which is being closed. Meanwhile, in Boston, MassMutual will build a new facility in the Seaport District that will be home to about 1,000 workers. The company will look to capitalize on the city’s emergence as a global leader and its already established ability to retain many of the young people who come there to be educated as a way to help attract and retain top talent for years to come. Still another focal point for the company is Springfield and the region it serves as its unofficial capital, said Crandall, adding that, while the company’s commitment to the City of Homes has come into question — the sale of Tower Square triggered much of that speculation — he said it is as strong as ever, with involvement in everything from education and workforce development to entrepreneurship and new-business development. Overall, the city has rebounded nicely from the financial turmoil of a decade or so ago, and the opening of MGM Springfield in a few months constitutes just one of many signs of progress, said Crandall, declaring that “Springfield has its mojo back.” (Much more on those thoughts later). For this issue, BusinessWest caught up with Crandall for a wide-ranging interview that touched on everything from Springfield and its mojo to Boston and the latest addition to its business landscape, to all those changes at State and Main and what they mean for this 167-year-old company. That interview took place in Crandall’s spacious office on the second floor of its headquarters building. As he gestured toward his surroundings, Crandall, who has occupied them since 2010, admitted candidly that he wasn’t exactly sure what would become of them as MassMutual undertakes that realignment of its facilities to accommodate more employees and a changing workplace. He did know that it won’t look like it does now. He was more certain about many other things, especially the company’s changing footprint when it comes to facilities. It will be a smaller, more efficient footprint, he noted, one shaped to address a number of challenges and opportunities moving forward. This change to the landscape has resulted from some seismic shifts over the past several years, especially a number of acquisitions — including Metlife’s retail advisor force, the Metlife Premier Client Group (MPCG) in the summer of 2016 — that left the company with a dispersed portfolio of facilities, and also changing technology, which, as noted, has altered everything from how people buy products to how they work. These changes prompted the company to take a much-needed step back, said Crandall, before it could decide how to move forward. Elaborating, he said recent acquisitions left the company with facilities in Charlotte, N.C., Memphis, Tenn., Phoenix, Ariz., Somerset, N.J., Amherst, and other locations. And while advancing technology allows people in remote offices to communicate effectively, consolidating those offices emerged as the option that made the most sense. “Although people work in different ways and the ability to work remotely is greater than ever because of technology, it’s really important to have more people interacting with each other,” he explained, “to get the best ideas, the best execution, and to take advantage of the diversity our workforce has. That makes sense on other levels as well, he noted, adding that the company was really only using about 60% of its facilities in Springfield and 60% of its facilities in Enfield. At the same time, the company has put an even greater emphasis on the broad issue of workforce development and the challenge of attracting and retaining top talent. And this combination of factors prompted a long, hard look at Boston — a city that has drawn similar looks from a host of other major corporations — and then hard action. “We thought about how to set ourselves up to attract the best and the brightest for the next 25 or 30 years,” said Crandall. “And that’s where having a location in Boston, which has really emerged as a global city in the last decade, came to the forefront. But while MassMutual will build a new facility in Boston’s Seaport District at 1 Marina Park, it will maintain a strong presence at both ends of the state, said Crandall, adding that Springfield will remain the company’s home. The fact that it is only 90 minutes away on the Turnpike from the Boston offices (traffic permitting) should bring a number of benefits, he noted. 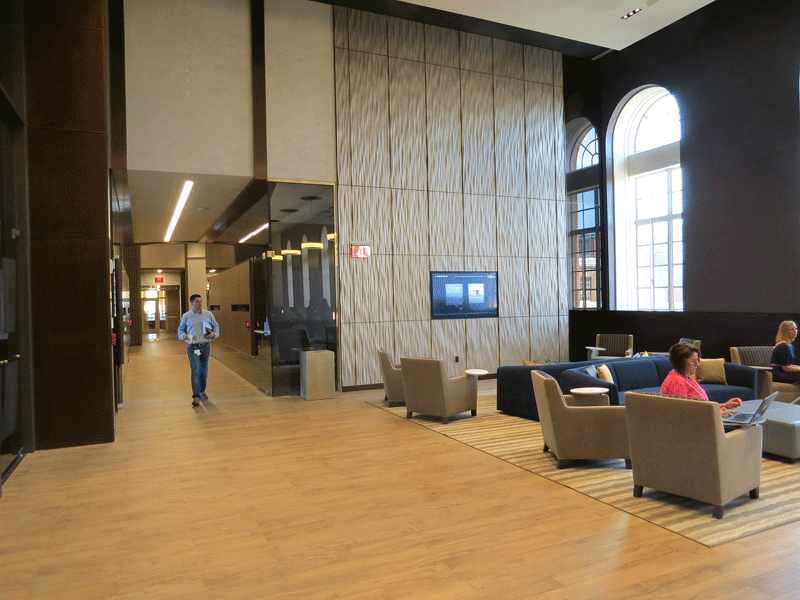 As for the facilities in Springfield, Crandall told BusinessWest that what’s planned is a reconfiguration and not an expansion in the true sense of the word. But more people will be working at that location — and turning up at State and Main for lattes, to have their phone repaired, to get their dry cleaning, and, increasingly, to get some work done as well. As Crandall noted earlier, there will be fewer private offices moving forward and more open spaces where people can work and collaborate as the company strives to moves away from a historical hierarchy that has defined much of its history and that of other financial-services giants as well. There’s ‘Birch,’ ‘Elm,’ ‘Maple,’ ‘Hemlock,’ and others. These are meeting facilities created on the fourth floor of the headquarters building — space devoted to basketball courts until 1980 and for less ornate (and modern) meeting spaces in recent years. And that brings him back to that omni-channel world he mentioned and the need to meet consumers where they want to be met. There are many reasons for this, he said, including the fact that fewer people are working for the kinds of large companies that offer life insurance as a benefit, and more are working for smaller ventures that don’t, or are self-employed. To meet that need, the company is responding proactively with products and processes that can put insurance within reach and bring the numbers from those surveys down. To change that equation, the company’s data-science team began working with an accumulated asset — the applications taken for life insurance over the years — and built a machine-learning mortality-scoring model. “That model, with the support of reinsurers, is being used to underwrite 75% of the policies MassMutual issues,” he went on, adding that this process often lowers the time required to get approval — down to one day for those who are younger and in good health — and brings down the cost of that insurance. And this is just one example of this digitization process, which doubles as a growth strategy. 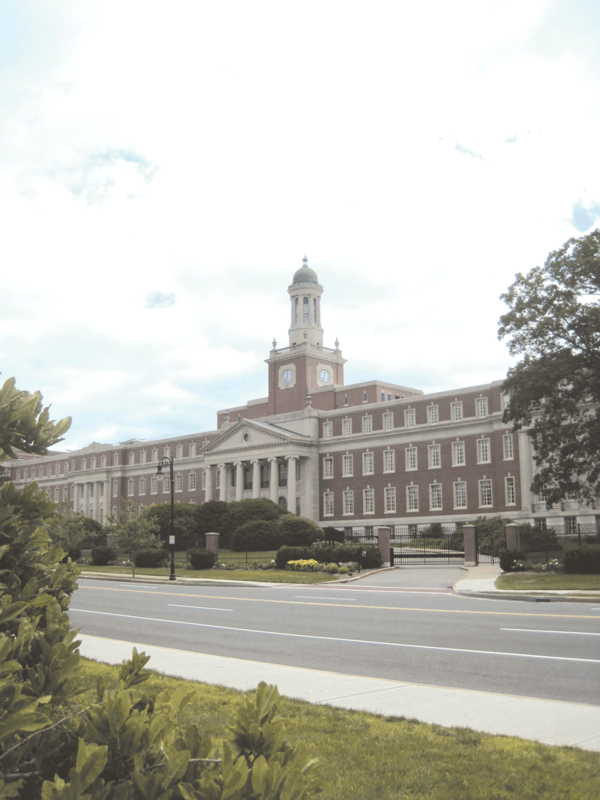 As MassMutual continues to respond to a changing landscape for a wide range of business perspectives, it is doing the same when it comes to its work within the community and especially its home city of Springfield, said Crandall. He noted that there have been many forms of progress in recent years, from new vibrancy downtown to the city’s much-improved fiscal health, to a better perception of the city across the state and even outside it. “The vibe in Springfield is as positive as I’ve seen it in 30 years,” he said when asked to offer his assessment, adding quickly that there are many areas of need and concern, and MassMutual and its foundation are partnering with others to help address many of them. Especially those in the broad realm of education. Noting the importance of education to attaining a job in today’s technology-based economy, Crandall said MassMutual’s commitment to education takes many forms, from financial-literacy programs involving middle-schoolers to a $15 million commitment to help create a sustainable workforce in data science. “We know that, in the long run, better educational outcomes are such a powerful way to change people’s trajectories in life,” he explained, adding that it starts with getting individuals not only through high school, but graduating with the skills they will need to thrive in this economy. But the company’s commitment to the city and the region — what Crandall called ‘enabling philanthropy’ — encompasses many different aspects of economic development, he went on, listing, for example, its work with DevelopSpringfield to revitalize neighborhoods across the city, and its backing of Valley Venture Mentors ($2 million to date) and financing of startups that pledge to put down roots in the region. There has also been support of workforce-development initiatives, such as a training center for call-center employees at Springfield Technical Community College and a similar initiative involving the precision-manufacturing sector. Then there’s the company’s support of ROCA, the agency that works with incarcerated individuals, usually repeat offenders, to help them change the course of their life and succeed outside the prison walls. Overall, Crandall, deploying that word ‘mojo,’ said the city has not only many positive developments breaking its way, but also more confidence and self-esteem. Perhaps even more important — and those factors are significant in their own right — is the fact that those outside the city are sharing those sentiments. To get that point across, he relayed a recent conversation he had while visiting one of the company’s agencies in Brooklyn, a borough that had more than its share of problems a generation ago but has morphed into one of the hottest communities in the country. “It’s a pretty neat historical kind of twist that adds an interesting flair to that area,” he said, noting that looking back is much easier — and generally more fun — than trying to look forward, anticipate the future, and prepare for it. But that’s just what MassMutual is doing, and those exercises define the many strategic initiatives at the company — everything from its soon-to-be-much-smaller geographic footprint to its efforts to meet customers when and how they want to be met, to philanthropic efforts within the community focused on everything from education to providing new, productive lives for the incarcerated. Crandall doesn’t know what his current office will look like in a year or two, but he does know it won’t look like it does now. And there may be 20 people working in that space. It’s a dinosaur that’s extinct. The company is moving on from it, reconfiguring, becoming more efficient, and responding proactively to change. And it’s doing that with every aspect of an altered landscape. Downtown Greenfield may look the same as it did decades ago, in many respects, but it has evolved considerably and morphed into a true neighborhood. 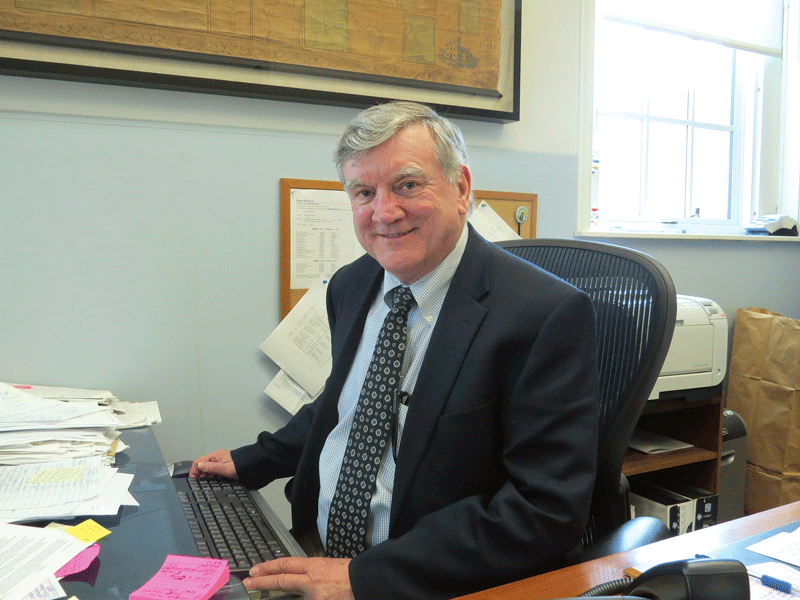 Greenfield Mayor William Martin acknowledged that it isn’t exactly a scientific measure of either his downtown’s vibrancy or the efficiency of his long-term strategic plan for the central business district. But it certainly works for him. He’s being told there’s a parking problem downtown. Actually, he’s been told that for some time. Until recently, the commentary involved the east end of that district by Town Hall, and the chorus was so loud and so persistent that the community is now building a 272-lot parking garage in that area, due to open in the fall. But now, he’s also hearing that complaint about the east side of downtown, and he’s expecting to hear it a lot more with the opening of the Community Health Center of Franklin County on the site of the old Sears store on Main Street, a facility that will bring more than 100 clients and employees to that location every day. In the realm of municipal government, parking problems generally, but certainly not always, fall into that category of the proverbial good problem to have, said the mayor, adding that a far worse problem is to have no parking woes — not because you have plenty of parking, but because no one is coming to your downtown. Indeed, while Main Street may look pretty much the same as it did a few decades ago, at least at a quick glance, it is vastly different, and in some very positive ways, said the mayor, adding that his administration’s broad strategy has been to bring people downtown for goods and services and let this critical mass trigger economic development on many levels. And it’s working. “We thought that, if we can bring people downtown and provide what they need, the free market will take care of people want,” he said, adding that the theory has been validated with everything from new restaurants to live entertainment to offices providing acupuncture and cardiology services. Jim Lunt agreed. Now the director of GCET (Greenfield Community Energy and Technology), a municipal high-speed Internet provider, and formerly director of Economic Development for the community, he said the downtown has evolved considerably over the past decade or so. Getting more specific, he said it has morphed from a traditional retail district, as most downtowns are, into more of a combination entertainment district and home for small businesses and startups. In addition to social gathering, there is also vocational gathering, if you will, in the form of both new businesses and also a few co-working spaces that are bringing a number of entrepreneurs together on Main Street. To get that point across, Lunt, sitting in what amounts to the conference room in Town hall, simply pointed toward the window, a gesture toward the building next door, the Hawks & Reed Entertainment Center, which, in addition to being a hub of music, art, and culture, is also home to Greenspace CoWork. That space, on the third floor, is now the working address for writers, a manuscript editor, a few coaches, a social-media consultant, and many others, and has become, said Lunt, maybe the best example of how Greenfield has put the often long-unoccupied upper floors of downtown buildings back into productive use. MJ Adams, who succeeded Lunt as director of Economic Development, agreed, and she summoned another term to describe what downtown has become: neighborhood. She said it has always been that to some extent, but it is now even moreso, with more living options and other amenities in that area. Greenfield didn’t get to this state overnight, said those we spoke with, noting that the process has been ongoing and more strategic in nature since the official end of the Great Recession and the arrival of Martin in the corner office (both of which happened in 2009). Mayor William Martin says his broad strategy since being elected a decade ago has been to transform downtown into a hub for a wide range of services and make it a true destination. That strategy has involved a number of tenets, everything from creation of GCET, which gives downtown Greenfield an important asset in a county where high-speed Internet access is a luxury, not something to be taken for granted, to a focus on making downtown a destination for a wide gamut of services, from education to healthcare. For this, the latest installment of its Community Spotlight series, BusinessWest examines how these pieces have come together, and also at how they have positioned Greenfield for continued growth, vibrancy, and maybe even some more parking issues — the ‘good-problem-to-have’ variety. To explain his broad strategy for Greenfield’s downtown, Martin essentially turned the clock back more than 200 years. Sort of. Back in those days, he explained, Greenfield, anointed the county capital, was a supplier of goods and most services to the many smaller communities surrounding it. Small steamships and rail would bring goods north on the Connecticut River to Greenfield, he explained, and residents of surrounding towns would make their way to the center of Franklin County to get, well, pretty much whatever they needed. It also has always done that with regard to government functions, he said, citing everything from the county courthouse, post office, and jail to Greenfield’s library, the largest in Franklin County. But Martin’s goal was to broaden that role to include education, healthcare, and more. And specific economic-development initiatives, technology, societal changes, the community’s many amenities, and some luck have helped make that goal reality. In short, a large number of pieces have fallen into place nicely, said those we spoke with, enabling downtown Greenfield to become not only a destination, or hub, but also a home — for people and businesses across a diverse mix of sectors. • Traditional retail, of which there is still plenty, including the landmark Wilson’s Department Store. Actually, these pieces haven’t just fallen into place by accident, said Martin, noting, again, that they have come into alignment through a broad strategic plan and specific initiatives designed to make the downtown more appealing and practical for a host of businesses, as well as number of existing qualities and amenities. High-speed Internet access was and is a huge component of this strategy, said Lunt, noting that it has been directly responsible for a number of businesses settling in the city. Meanwhile, other parts of that strategic initiative include renewable-energy projects that have helped bring down the cost of energy; creation of a Massachusetts Cultural District, which has made the community eligible for certain grants; a façade-improvement project that has put a new face on many properties downtown, and many others. The community already had a number of strategic advantages when it came to attracting both businesses and families, said Lunt, noting that, overall, while Greenfield’s location in rural Franklin County is limiting in some ways — contrary to popular opinion, there are actually few available parcels for large-scale developments, for example — it brings advantages in many others. From left, MJ Adams, Mayor William Martin, and Jim Lunt all see many positive signs in Greenfield’s downtown. Elaborating, he said that many younger people prefer a rural setting to an urban one — for both living and working — and can find most of what they’re looking for in Greenfield. That list includes a lower cost of living than they would find in Boston, Amherst, or Northampton; outdoor activities ranging from hiking to whitewater rafting; culture; a large concentration of nonprofits serving the county; and, yes, high-speed Internet access, something people might not find 20 minutes outside of downtown. This combination of factors has attracted a number of young professionals, many of whom may have gone to college in Boston or another big city and started their careers there, but later desired something different, said Adams. It has also attracted entrepreneurs, said Lunt, including several video-game developers, many of whom now share a business address — co-working space known as Another Castle. Located on Olive Street in space that until recently housed the Franklin County registry of Deeds, it became home to the video-game developer HitPoint, which was located in Greenfield, relocated to Springfield, and has now moved back. And it has created a co-working space that enables other small game designers to take advantage of shared equipment and facilities, effectively lowering the cost of doing business. Moving forward, the town’s simple goal is to build on the considerable momentum it has created through a number of initiatives. These include work to redevelop the former First National Bank building, vacant for decades and the last of the properties on the stretch as Bank Row to be given a new life. The town’s redevelopment authority has site control over the parcel, said Lunt, adding that the next steps involve working with the state, private grant writers, and the city to acquire funds to convert the property into a downtown cultural center to be used for everything from a farmers’ market to perhaps a museum of Greenfield history. If all goes according to plan, all the properties on Bank Row will be back in productive use for the first time in 40 years, he told BusinessWest. Another initiative is the parking garage, which has been years in the making, noted the mayor, noting that it took several attempts to secure funding help from the state for the project. The facility will ease a well-recognized problem, exacerbated by the new county courthouse in that area, and provide yet another incentive for people to come to downtown Greenfield. As for parking at the other end of Main Street … well, that’s a good problem to have. For now, anyway.